Is there a better alternative to Shred? Is Shred really the best app in Security category? 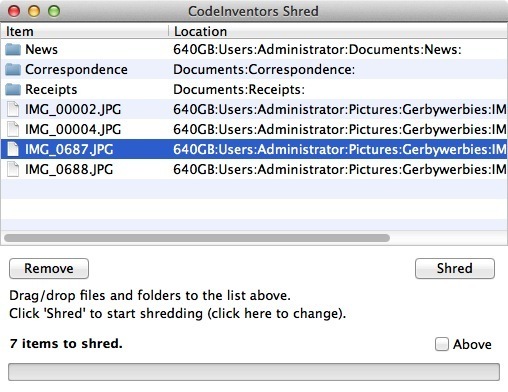 Will Shred work good on macOS 10.13.4? Shred will securely erase files, meaning that if they are ever recovered (by specialist software) their content will be useless. For added security, data can be overwritten up to 35 times and the name and date of the file/folder changed to random values. Both files and folders can be added to the list to be shredded. Files will have their content overwritten and then the file will be deleted. Any folders will be searched and any files residing in them will be shredded. The folder will then be deleted. Note: You can 'ignore' all folders (i.e., not have them shredded). Shred needs a rating. Be the first to rate this app and get the discussion started!